When Janice Blackman answered her phone recently, she had no idea the voice on the other end was about to change her life. 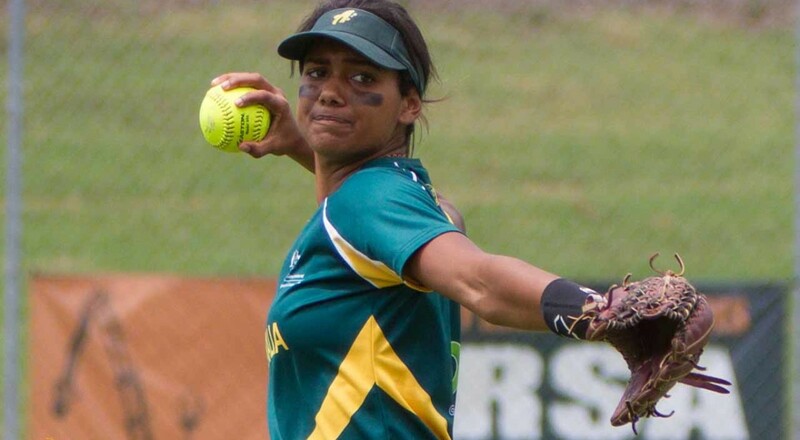 The caller was Aussie Spirit head coach Fabian Barlow, and his message was straight to the point: Blackman had been chosen to represent Australia at the 2016 Women’s World Softball Championship in Canada. Blackman was called into the squad after fellow outfielder Leigh Godfrey had to withdraw with a shoulder injury. According to Barlow, Blackman was the ideal replacement for Godfrey. “Janice came very close and was unlucky to miss selection in the original 17,” he said. “It was a logical choice to make her the replacement for Leigh. For Blackman, 20, it will be her first taste of softball at World Championship level but not her first time overseas, having played in the Japan Cup last year. It has been a whirlwind ride for a player who first picked up a softball in the Queensland town of Mt Isa at the age of 8, following in her mother’s footsteps. Her career began to take off after she moved to Brisbane with her family at age 15. Coaches turned her into a left-handed hitter to utilise her speed, and helped her eradicate some bad habits. But she remains grateful to people in Mt Isa for teaching her some life lessons. Even with such a busy schedule in the next few months, Blackman is keeping an eye on the longer-term future. In the back of her mind is the possibility of being an Olympian if softball is reinstated as an Olympic sport. As an indigenous player who grew up in an area that did not have all the advantages of larger cities, Blackman won’t forget the people who helped her along the way, and plans to give back to the community. She already coaches junior teams at her Brisbane club, the Bears. On her radar is to go back to Mt Isa and do whatever she can to help develop softball there. The hardest part might be finding time. A full-time student and part-time worker, Blackman is also an ambassador for Deadly Choices, an organisation that encourages indigenous people to make healthy choices for themselves and their families – to stop smoking, eat good food and get regular exercise.